As we are almost finished with Week 4 of camp, the campers as well as counselors have settled into the routines of camp. 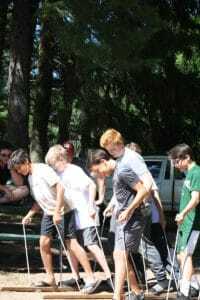 Most campers have now reached a level of trust with their cabin mates as well as their cabin counselors and with the instructors in their activities. The “honeymoon” phase is over, relationships are being built and friendships are developing. The “magic” of camp is beginning to happen as the boys spread their wings, try new things and challenge themselves to reach goals. It’s natural, even within a magical place like Towering Pines, that as campers begin to get more comfortable, conflicts can arise. 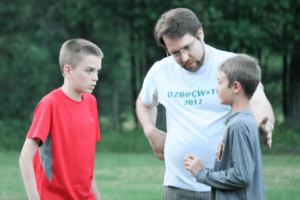 Although these conflicts may create some tension among campers, surprisingly enough, there is actually a place for these situations in camp life. 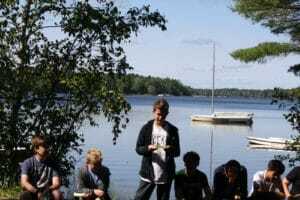 What better place for boys to learn conflict resolution and communication than in a safe environment with people leading them through these experiences. The counselors themselves went through a similar journey not so many years prior, and they can more often than not relate to the challenges that these boys are living through right now. Campers are learning that some relationships work better than others, and it’s realistic that not everyone becomes your best friend. There are people whom we will get along with extremely well, and those with whom we won’t. When you live in a little cabin in the woods with several other boys, sometimes certain behaviors might begin to annoy you and a few people can even start to get on your nerves!! But this can be viewed as an opportunity for campers to learn how to make the best of a situation rather than letting it get the best of them. In order to support what the counselors and staff are trying to teach the campers, there are values which are taught and encouraged at TP. 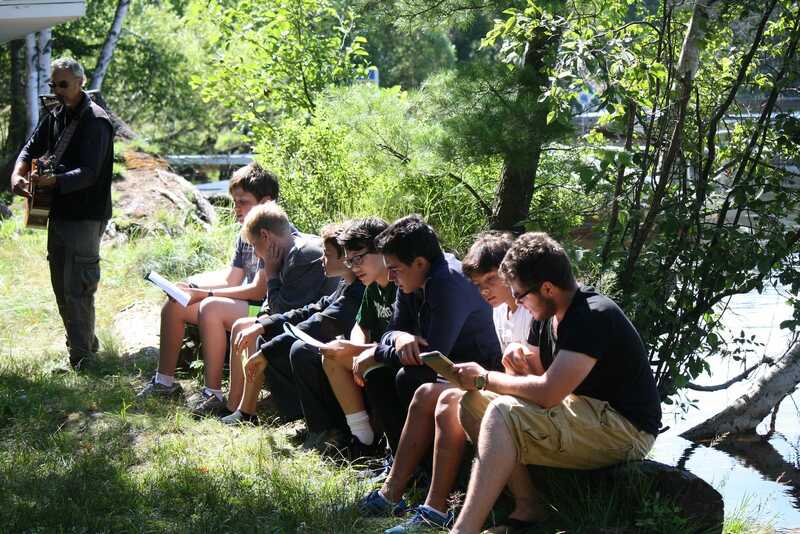 One way to do this is through Sunday vespers where a cabin leads a short time of reflection on a specific topic that relates to living in our very own camp community. This, in turn, can later be translated into other situations outside of camp. Last Sunday the topic of vespers was “respect.” Respect is one of the key focuses that is continuously encouraged and woven into the daily threads of camp life. Plenty of teaching opportunities are presented throughout daily activities , special events and spontaneous moments that occur. It’s when the campers realize that sometimes they can’t move forward without working together and with their fellow campers, that the “aha” moment happens, and learning begins. These experiences may not always be easy, but they are invaluable. These will translate into life lessons that will carry through as these boys go off to college, enter the work force and maintain adult relationships. 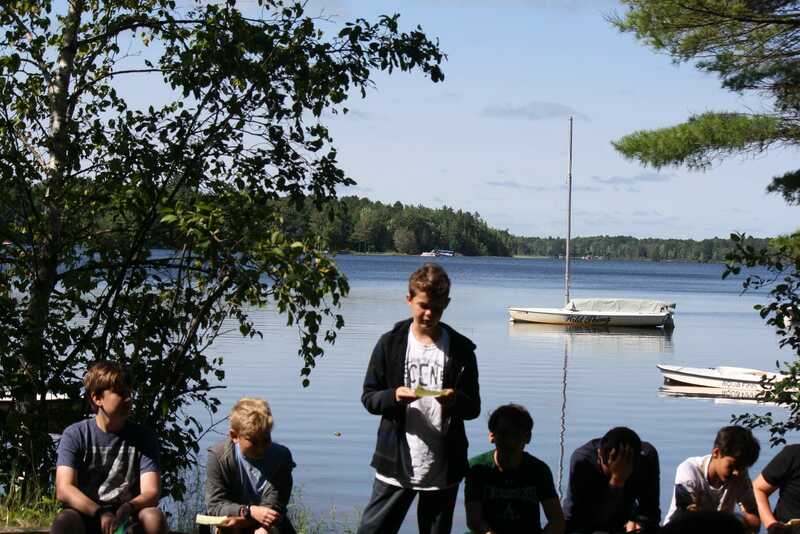 The ripple effect of what camp offers to our boys continues to live on long after the last dock has been put away for the summer.